Excessive debt can be a heavy burden to carry, especially if it’s for an extended period of time. Those looking to face their finances head on will have to decide on the best approach, which means choosing between debt management and bankruptcy. While each situation is unique, our West Palm Beach bankruptcy attorneys are providing key points of consideration for those making this proactive decision. Debt consolidation or management plans involve the hiring of a credit counselor who will put into place a plan to repay arrears. This would include negotiating different terms with each agency, in an effort to get an individual back on track financially over the span of several years. Bankruptcy is a court proceeding in which the assets and liabilities of a debtor are reviewed by a judge, who will determine whether the debts qualify to be discharged, making the individual exempt from repayment. When deciding how to approach a substantial amount of debt, the first consideration should be whether or not the individual has the capability to repay the debts. For someone who does not have the current or future income available, a plan to renegotiate repayment will not sufficiently address the issue. In this case, bankruptcy is the most appropriate option, as it permits the individual to get a fresh start once debts are discharged. Upon hiring a bankruptcy attorney, debtors are protected from collection activity on the part of agencies. Creditors will be notified of the attorney’s involvement in the case, which automatically forces them to stop all forms of communication with the debtor. These protections are not afforded to participants of management plans. 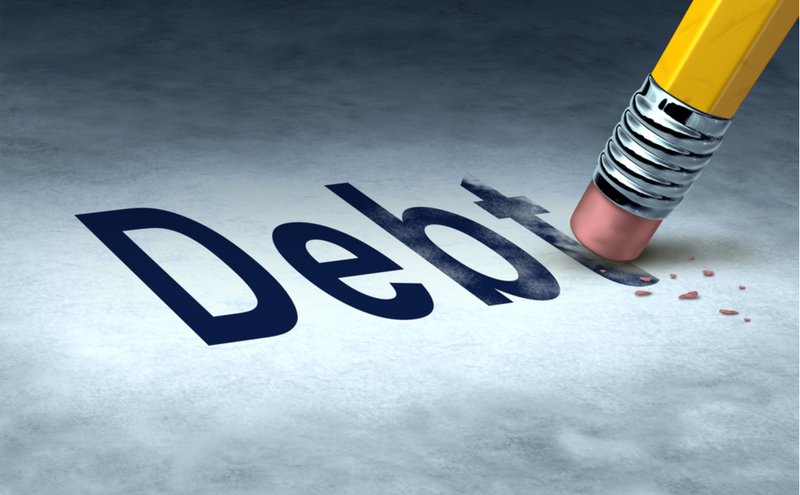 The type of bankruptcy will determine which debts are eligible for discharge. When filing for Chapter 7, recent taxes and past due child support are not able to be expunged. With Chapter 13 bankruptcy, debtors are permitted to cover their existing debts with future income, eliminating liquidation. Additionally, non-dischargeable arrears such as taxes and child support are required to be paid in full. A management plan will not allow for any debts to be forgiven. Rather, reduced interest rates, fees, and re-aged accounts are negotiated with the creditors on the individual’s behalf. Neither a debt management plan nor Chapter 13 bankruptcy requires individuals to qualify. However, both necessitate enough income to cover payments. To apply for Chapter 7 bankruptcy, a debtor must pass a “means test” in which income must be lower than the median income for their state of residence. A bankruptcy attorney will help individuals determine if alternatives such as creditor workouts, loan modifications or bankruptcy should be considered. If you or a loved one are considering bankruptcy, the Law Offices of Kelley & Fulton, P.L. offers clients years of experience and success working with parties to regain control of their finances. Contact our West Palm Beach bankruptcy attorneys today to discuss available options and remedies for a successful financial future.